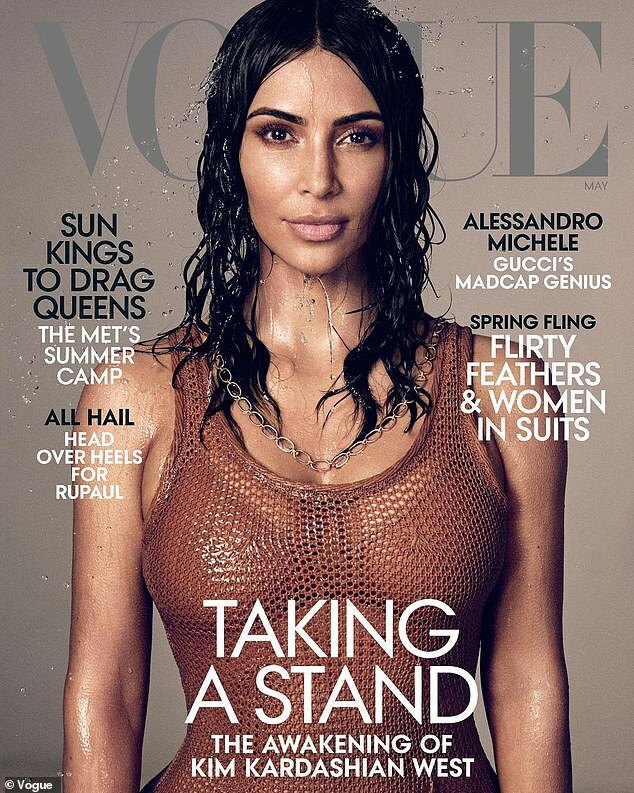 Unveiled on Wednesday, the 38-year-old reality star is photographed with water pouring over her head as she wears a sheer mesh top, underneath reads the tag line ‘Taking a stand’. 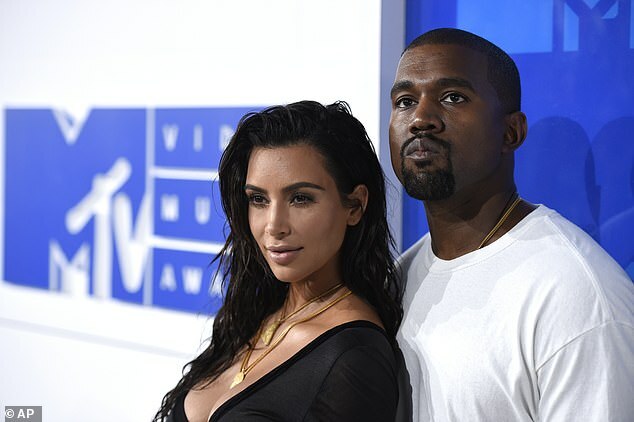 It’s been five years since Kim’s highly controversial wedding issue with the fashion bible where she graced the cover in her wedding gown while cozying up to her soon-to-be husband Kanye West in 2014. The Vogue feature titled ‘The awakening of Kim Kardashian West’ shows the reality star posing in a variety of glamorous dresses at home with her children, photographed by Mikael Jansson. Kim couldn’t hide her joy at landing her first solo Vogue cover. On Wednesday she tweeted: ‘I’ve dreamed of this moment for so long, many said it would never come. Words cannot begin to express how much of an honor it is to have my first solo US cover of @VogueMagazine. ‘I had to think long and hard about this,’ Kim said while explaining that she was inspired to learn more about law thanks to a combination of ‘seeing a really good result’ with Johnson and feeling out of her depth. ‘I had attorneys with me who could back that up with all the facts of the case. It’s never one person who gets things done; it’s always a collective of people, and I’ve always known my role, but I just felt like I wanted to be able to fight for people who have paid their dues to society. 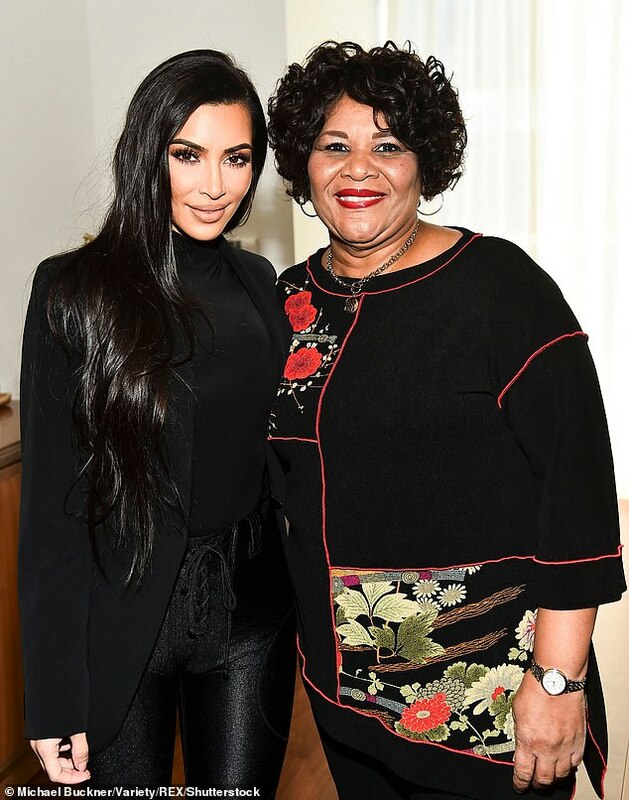 Kim’s mom Kris Jenner was asked if she was surprised about Kim’s change in life direction, telling Vogue: ‘I did not see this one coming. Photographed by Annie Leibovitz the cover shot saw Kanye nuzzling into Kim’s neck from behind as she posed in a strapless gown. Much of the criticism stemmed from the general opinion that Kim was merely ‘famous for being famous’. 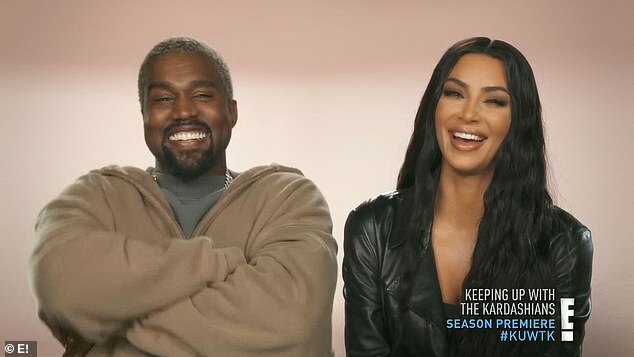 ‘I think we can all agree on the fact that that role is currently being played by Kim and Kanye to a T. (Or perhaps that should be to a K? ).